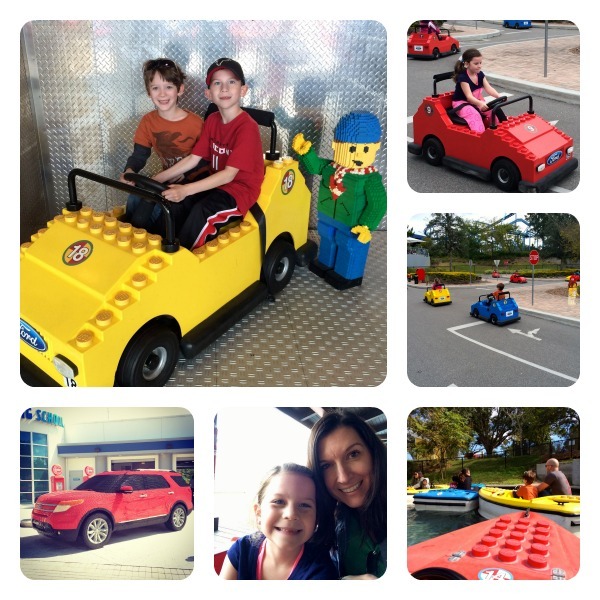 LEGOLAND Florida is the perfect place for extended families to celebrate and make memories!! My nephew recently turned 8 and the #1 item on his wish list was a trip to LEGOLAND Florida. His wish was granted and their family made the long drive from Atlanta, Georgia. 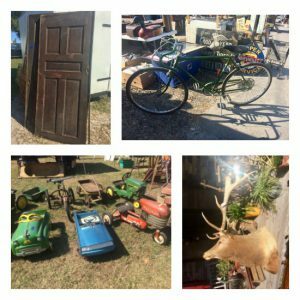 Since my family lives in Central Florida, we were able to join the birthday fun! 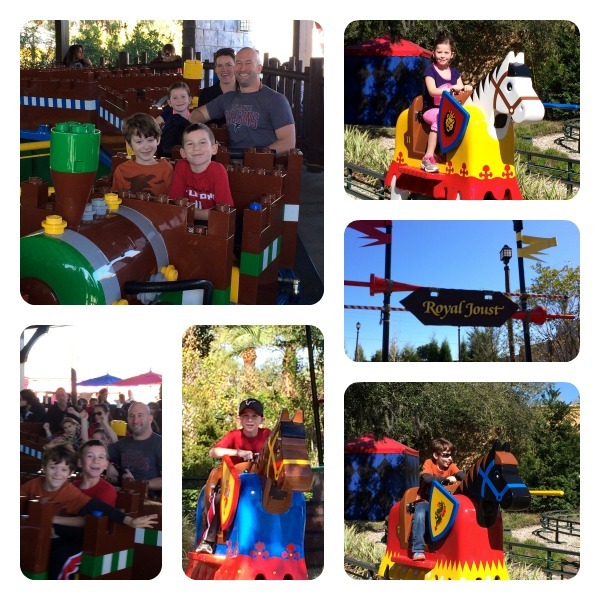 It was an extended family LEGOLAND celebration and memories were made! Pictured below is my little guy with his aunt, uncle and cousins. 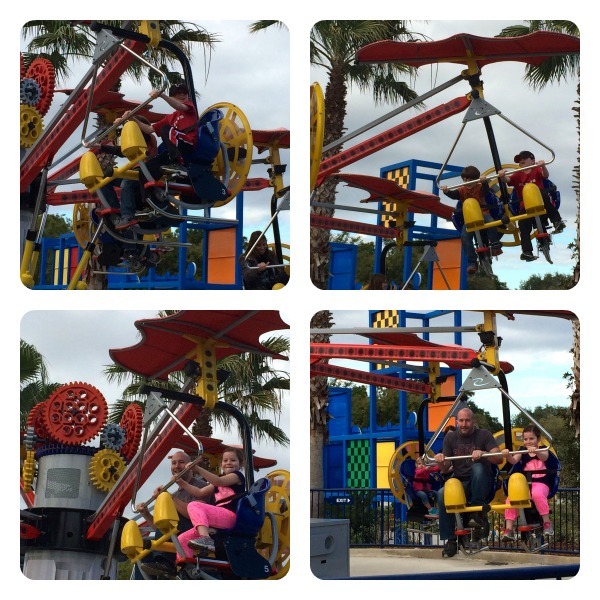 I cannot say enough positives about LEGOLAND Florida, the park is so much fun. Four big kids and three children (ages 5, 6 & 8) had a day they will never forget. In all honesty, I don’t know who had more fun…everyone was laughing and smiling the entire time. 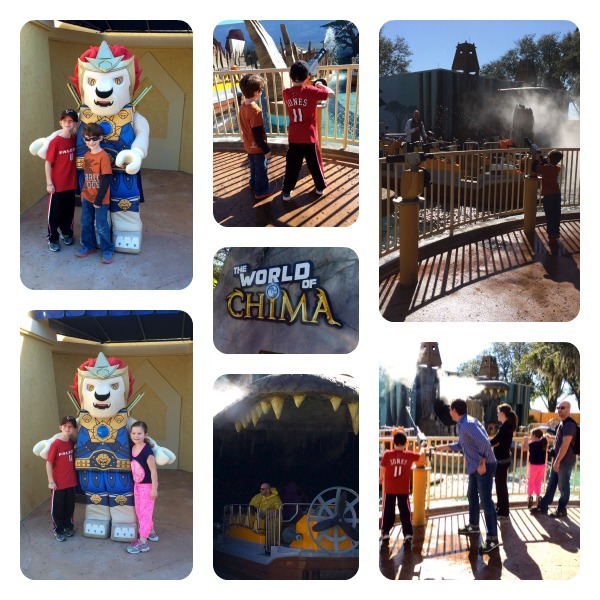 The World of Chima is where our laughs truly begin. It was a sunny Florida day (temperatures were in the 60’s when we arrived) but that didn’t scare off my brother-in-law, nephew or niece. They grabbed ponchos and jumped on The Quest For CHI. As they boarded their adventure, the rest of us who “planned” to stay dry strategized our battle plan. We grabbed our water cannons and prepared to fight. 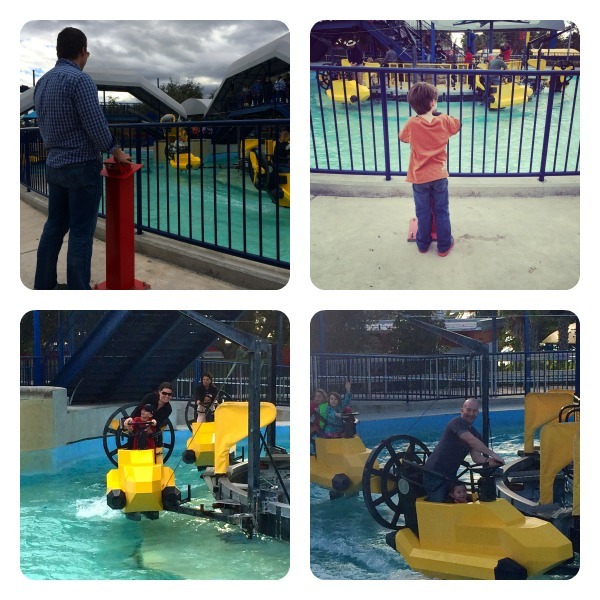 The funniest part of all, my son (who stayed on land) is the one who was soaked the most. The temperatures warmed up quickly and he was dry in a matter of minutes. More laughs were shared at LEGO Kingdoms on Merlin’s Challenge, Royal Joust and inside The Forestmen’s Hideout. 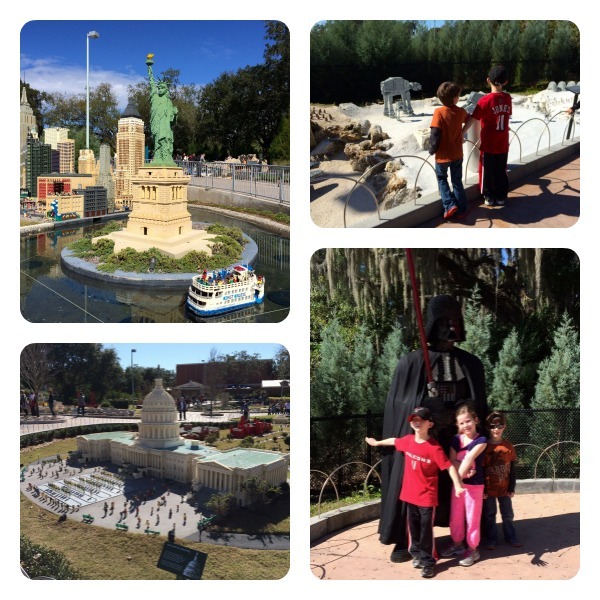 Next, we hit Miniland USA which is impressive…US cities and Florida landmarks built out of LEGOS. I cannot imagine the amount of time it took to create these interactive masterpieces. We had to pull my brother-in-law out of the LEGO STAR WARS area, he was quickly transported back to his childhood. 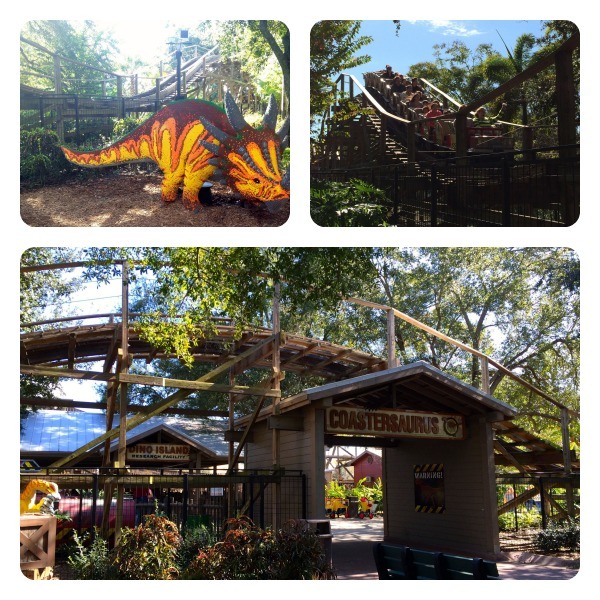 The next area we visited was Land of Adventure and several of us jumped on Coastersaurus. FUN! LEGO City was next, we spent a fair amount of time in this section for Boating School, Driving School and Flying School. We also enjoyed lunch at the Fried Chicken Co.
After everyone hydrated and fueled up, it was time for MORE LEGOLAND fun at LEGO Technic. While my brother-in-law took the three kids on Technicycle, the three remaining adults (my husband, SIL and I) had some fun shooting water bombs on unsuspected park guests riding AQUAZONE Wave Racers. 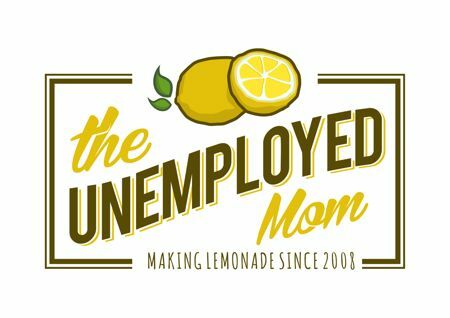 We laughed so hard that people around us soon figured out what we were up to! It was SO MUCH FUN! 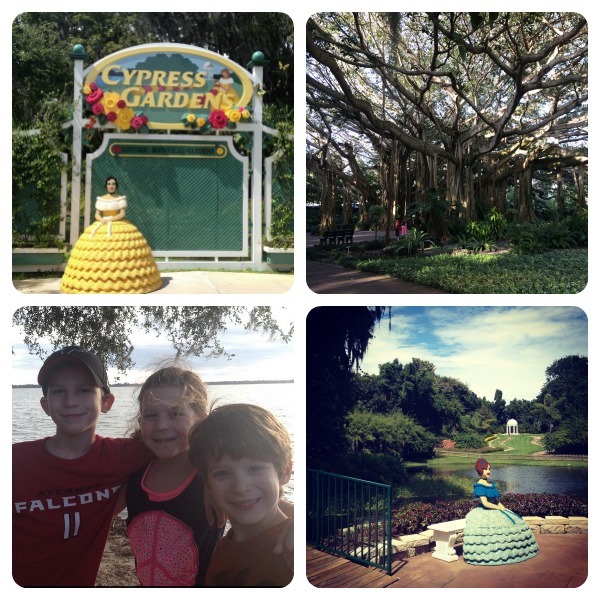 A stroll through Cypress Gardens completed our LEGOLAND Florida visit. The historic botanical gardens are beautiful and the perfect backdrop for family photos. Most impressive is the vast Banyan tree that was planted as a seedling in 1939. 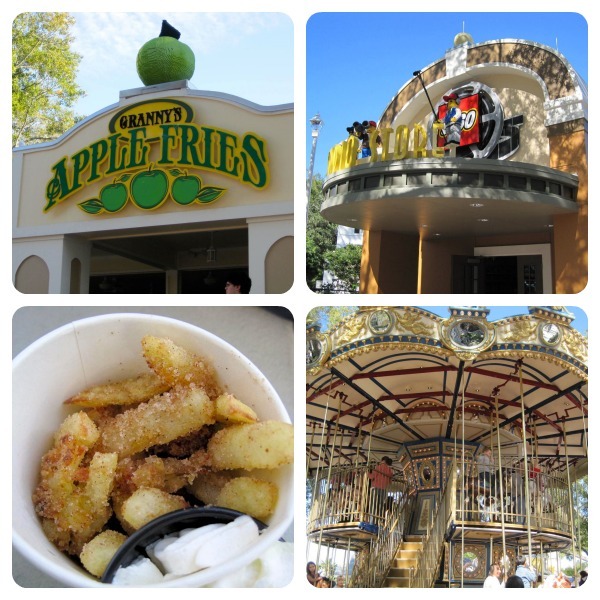 We explored Fun Town before leaving and OF COURSE enjoyed Granny’s Apple Fries. We shut the park down and my nephew had the most amazing birthday celebration ever. 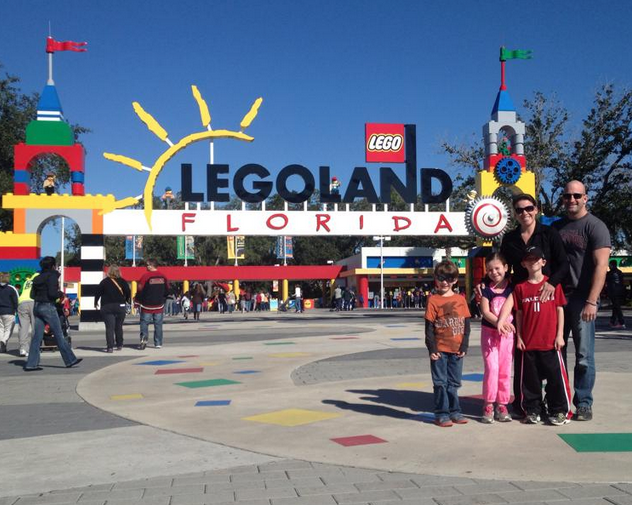 I’m so glad my family was able to join in the LEGOLAND Florida fun! 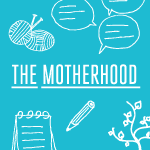 Disclosure: I received media passes to help facilitate this blog. No additional compensation was received.